Welcome to the quintessential culinary experience for your next soiree. 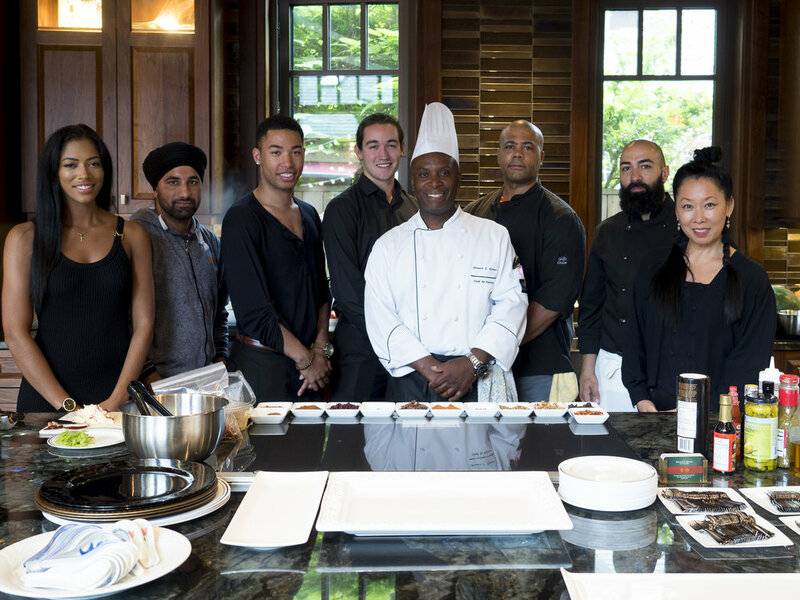 Howard Hyman, a Red Seal Certified Chef, comes from a rich heritage of global culinary arts, being born in Jamaica and landing first in the city of Toronto where food and diversity are number one in world rankings. His experience includes 35 years of culinary success from opening of Red Lobster restaurants across Canada, as well as opening Caesars Windsor and contributing to its expansion through 20 years of service. Throughout these and many other experiences, executives approached Chef Howard to cater to their sophisticated tastes, in the privacy of their homes. The genesis of Exquisite Events Windsor had arrived. Chef Howard offers a collage of global cuisine that is tantalizing. His Exquisite Bites are popular, current, and an adventure in the culinary experience. He creates a food sensation that will be sure to bring some culinary theatre and make your special event a memorable one. Chef Howard uses a runway of artistic presentation. Redefining tradition and culture, with methods of combining food and artistic expression into an indelible gastronomic experience. some of the placements we focus on. Anticipate a new edition ~ our Family Favourites Menu. Family favourites that lull us back to childhood memories of our lifelong love of food. Soothing and comfort food, at it’s best. The welcome of this menu keeps you from having to do the work. This allows you to enjoy your time with family, friends! Our goal is simple… to offer exquisite tasting cuisine and deliver impeccable, professional service.